With insane punch lines and fast rhymes, Ali Tomineek brings a new feel to the hip hop scene and is rapidly becoming a Youtube phenomenon! 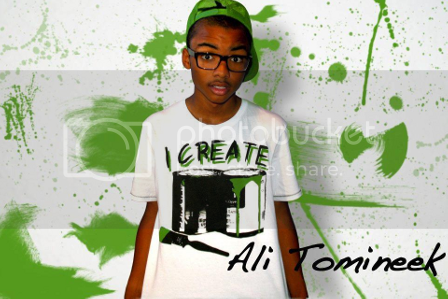 Hailing from Surprise, Arizona is 15-year-old rap sensation Ali Tomineek! Ali began posting Youtube videos of himself in his bedroom just two years ago! In that short time Ali has managed to rack up close to 24,000 subscribers, and over 4 million video views for his original freestyles and a few 'covers' from some of his favorite artists. Ali’s channel isn’t your typical music channel. Every video is fun, interactive and highly entertaining. Some of the videos consists of skits that include actual family members, and sometimes Ali starts off with quirky intros in his videos. You’ll even catch him acting as different characters before rapping, then “snapping” himself out of the video at the end. This past July Ali dropped his official mixtape cleverly entitled, “February 30th.” A day that he created specifically for his fans as a day to listen to his music. The mixtape consists of eighteen tracks two of which are bonus tracks. 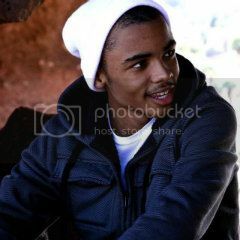 And, he's also completed a comical song entitled “Turkey Sandwich,” a collaboration that he did with his brother Shaun D. Not only does Ali rap he also plays piano, edits his videos, and produces his own music. Ali credits Drake and Wiz khalifa as two of his favorite artists, and although his expertise can be compared to these artists, he is definitely in a class all by himself. It’s refreshing to find such a young artist that can blaze each track with immaculate flows that consists of real content, without the use of profanity. It should come as no surprise that the young generation is dominating today’s music industry. Ali is another young artist added to that list. LivingTru.com will definitely keep an eye on Ali as he continues to progress and take the world by storm. Check out the latest dance craze by Ali Tomineek the "Ellen Dance!" Submit your video before September 29, 2012 to be a part of the contest! Subscribe to Ali Tomineek's Youtube channel!Follow Ali on Twitter and "Like" his Facebook Fan Page here!